With nice clean lines, this Aaron Basha shoe from the Baby Shoe collection is delightful. 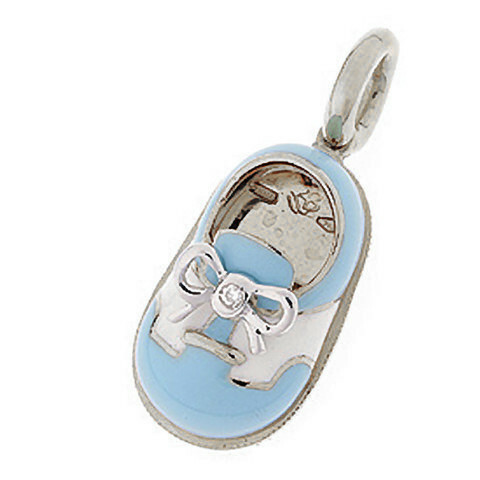 The 18kt white gold charm has a light blue and white coating of enamel, and the perfectly tied shoestring bow is accented with a brilliant white diamond. Place a little innocence on your Aaron Basha charm bracelet or necklace.